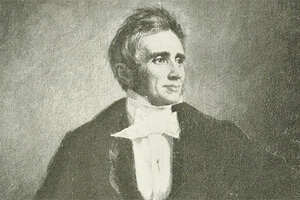 On this day in 1844, Charles Goodyear received a patent for vulcanization, a process he discovered in 1839. The procedure involved heating natural rubber and sulfur, strengthening the material and making possible the mass production of safer vehicle tires. The tire company bearing his name was founded in 1898, 38 years after his death. In 2001 Carolina Crown made its seventh trip to the World Championship Finals with a production titled "Industry." The program featured original compositions by Marty McCartt, David Gillingham's "Concerto for 4 Percussion," the main theme from the movie "Cider House Rules," and Michael Daugherty's "Motown Metal." "Industry" may very well feature the first and only time in Drum Corps International history that a corps' color guard section utilized used car tires on the field as equipment.